Charleston South Carolina festivals and events – Here is your complete list of all the top festivals and events for Charleston this year. is known as one of the best cities in the nation for festivals and events scheduling. 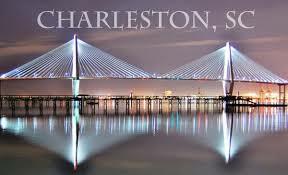 Here is your list of all the top events in Charleston South Carolina listed by month. Select the event you would like to get more information on, where applicable and go to the festival page. The exact dates vary from year to year so please check the links where available to learn exact dates for current year. Click here if you would like to see all top South Carolina festivals and events or to learn more about the South Carolina State Fair. Festivals packages for Charleston South Carolina! To purchase this package, visit the paypal site above for checkout. If you would like to get more information visit our festival package information page. For purchase with credit card, please visit Prime Time Print Charleston South Carolina customized shot glasses page. Here are your top listings for events and festivals in Charleston South Carolina this January. Here are your top listings for events and festivals in Charleston South Carolina this February. Here are your top listings for events and festivals in Charleston South Carolina this March. Here are your top listings for events and festivals in Charleston South Carolina this April. Here are your top listings for events and festivals in Charleston South Carolina this May. Here are your top listings for events and festivals in Charleston South Carolina this October. Top reasons Charleston South Carolina festivals will be awesome this year! 2 Responses to "Charleston South Carolina festivals and events"
Columbia South Carolina festivals and events in 2014 and 2015 that you shouldn’t miss. Info and dates and times. Who’s ready to do some oyster shucking? How does 80,000 pounds of oysters sound? The fourth annual YALLFest will bring 61 acclaimed authors, including 39 New York Times bestsellers, to Charleston. SEWE is a three-day showcase of everything we love about wildlife and nature. Come enjoy grits, served up many different ways at the World Grits Festival! Come enjoy the cultural food and sounds at the 45th Charleston Greek Festival May 9-11th. BB&T is thrilled to offer a taste of double-digit-worthy excitement at our upcoming annual festival: Wednesday, March 4 – through Sunday, March 8. Showcasing emerging designer and model talent across the East Coast, Baker Motor Company Charleston Fashion Week® has fast become one of the premier fashion weeks in North America since its founding in 2007. The next installment of Charleston Restaurant Week is set for January 7-18! The event, executed by the Greater Charleston Restaurant Association, Inc (GCRA), is one of the most highly anticipated culinary events in the Charleston area. Experience the intimate charm and elegance found only beyond Charleston’s private garden gates and historic thresholds during Historic Charleston Foundation’s month-long annual Spring Festival of Houses & Gardens. This includes the most comprehensive list of events commemorating the Civil War.